One of the most versatile instruments in my musical arsenal is definitely rhythm sticks. 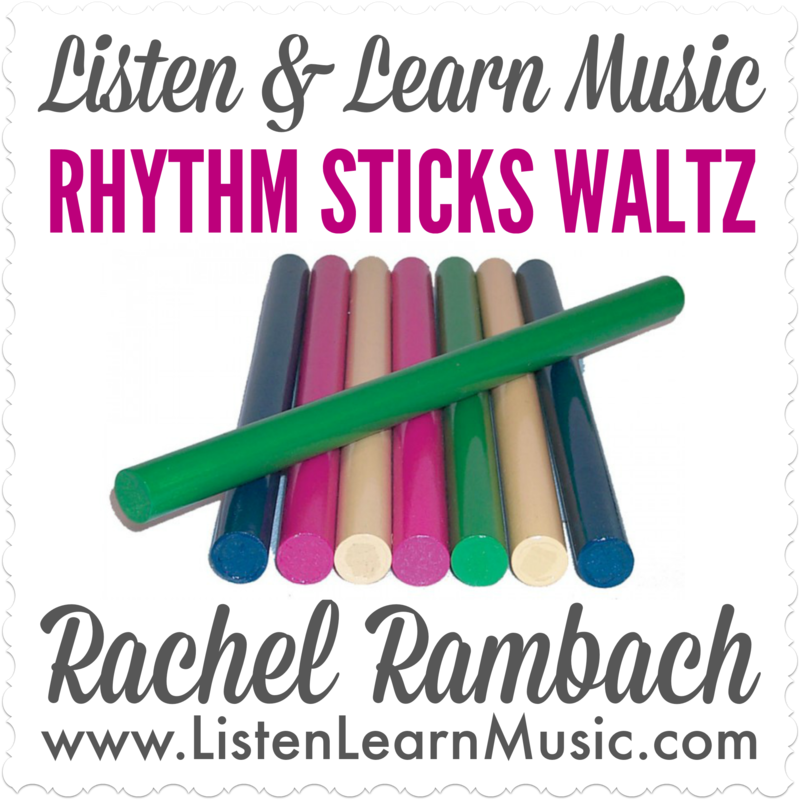 There are SO many things you can do with rhythm sticks, and SO many goals that can be targeted, too! 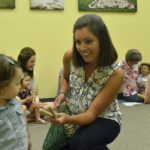 Lucky for us, Listen & Learn Music has some great goal-oriented songs designed to be used with rhythm sticks, and included in the collection are songs suitable for the youngest of clients as well as middle schoolers. 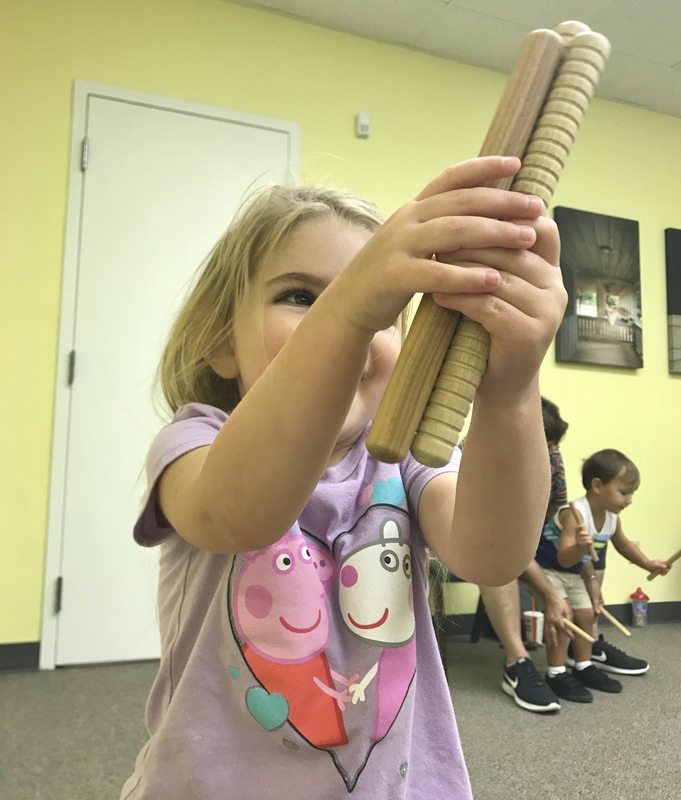 All rhythm sticks songs target gross and fine motor skills, as well as bilateral coordination, an important skill that will help children develop daily living skills such as tying shoes, getting dressed, playing toss with mom and dad, and even riding a bike. Who knew that playing instruments with two hands could help our clients develop all those important skills? For younger children, I like to start with Rhythm Sticks Waltz. This song is an engaging way for children to explore rhythm sticks and maintain their palmer grasp on the sticks. I encourage my groups to play in a steady ¾ rhythm to match the song, as well as count to three while playing. As my clients grow, Tap Your Rhythm Sticks is an excellent challenge that can be easily adapted. This song is written to encourage children to play soft, loud, fast, or slow, but additional movements can be added to target specific skills. 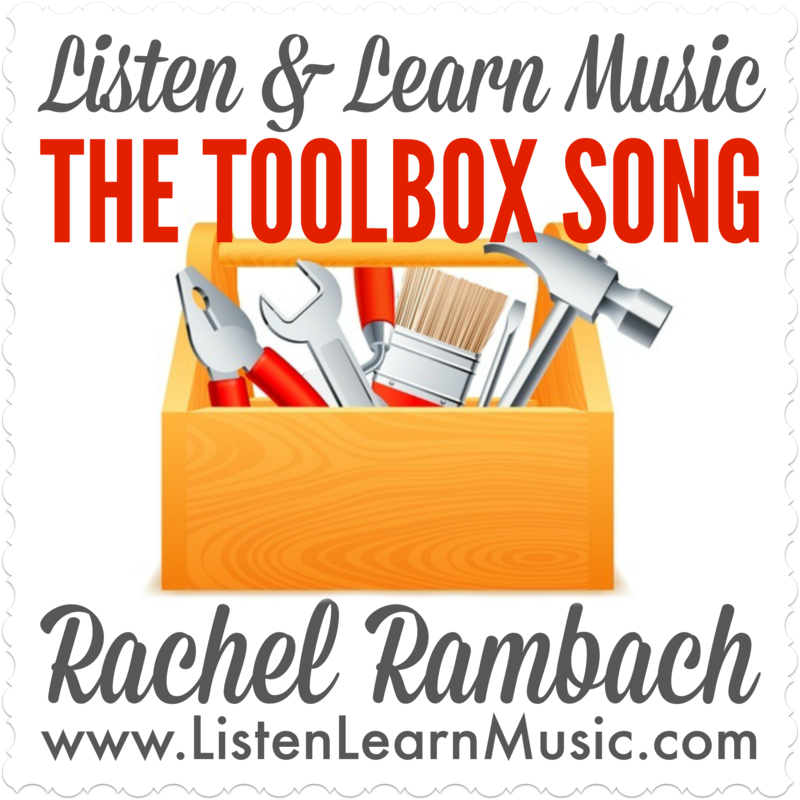 My all-time favorite rhythm sticks song is The Toolbox Song! This one encourages children to be creative and brainstorm how each tool can be replicated using rhythm sticks. It is so fun to watch them think about each tool, such as the hammer and the nail, and the excitement on their faces when they’re ready to share with their peers. 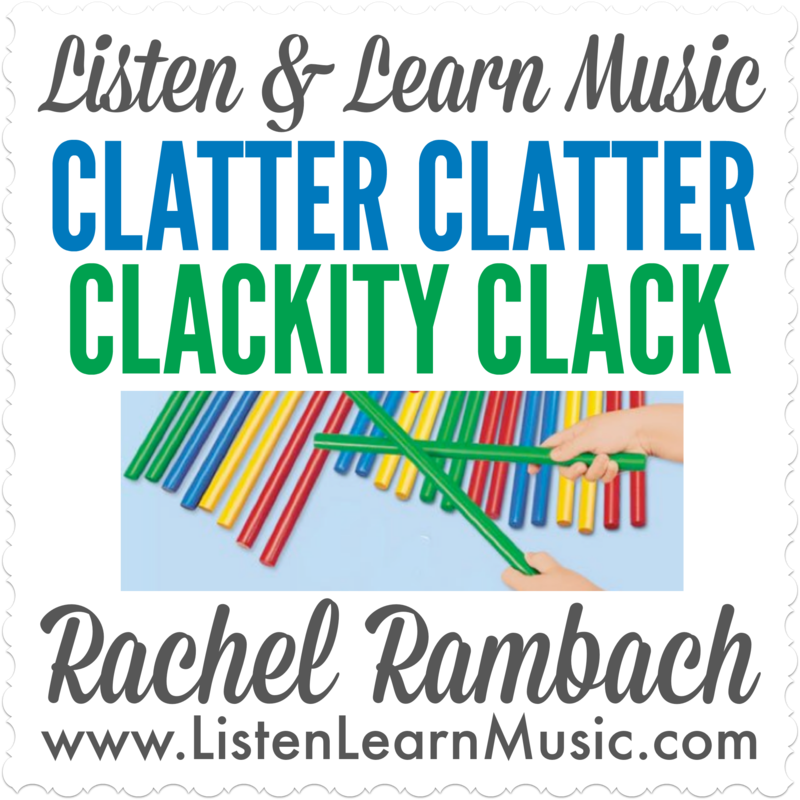 For my older elementary school students and even middle schoolers, Thunder & Raindrops and Clatter, Clatter, Clackity Clack are challenging songs to encourage pattern replication, sustained attention, and listening for lyrical cues. The melodies and lyrics are mature, and the goals are appropriate for older children but can also be used with younger children as well. With the variety of goals that can be targeted with rhythm sticks, there is so much more to do with this fun and simple instrument than just tapping. Tell me in the comments below: what is your favorite way to use rhythm sticks? You can listen to all of these songs in their entirety right here. Lyrics, chords, mp3, and instrumental tracks for these original songs are available for download. As is the case for all Listen & Learn Music creations, we invite you to adapt this song as needed to best serve your students and/or clients.